Finally a couple of January highlights that aren’t Manzanitas or Gooseberries! Cneoridium (bless you!) 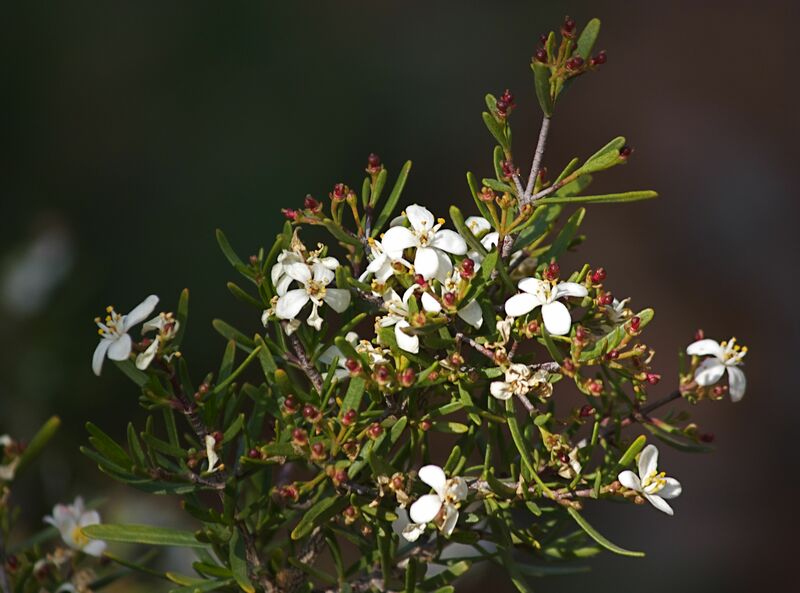 (just kidding, that’s actually pronounced with a silent “c”), or Bushrue, from the coastal sage scrub or chaparral environments, is a very slow-growing small shrub in the garden, and it provides a bright white accent in the garden in January with it’s small vivid flowers. Some people experience “contact dermatitis” when handling this plant, so take care. 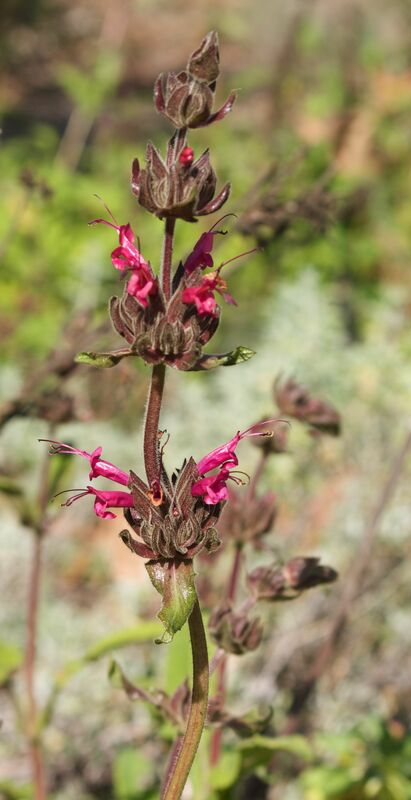 Salvia spathacea, or Hummingbird Sage, flowers early and often. Plant it in part shade and give it a little extra water in southern California to get the best show of two-foot tall red flower spikes and thick dark-green leaves. Not all seasonal interest is flowers. 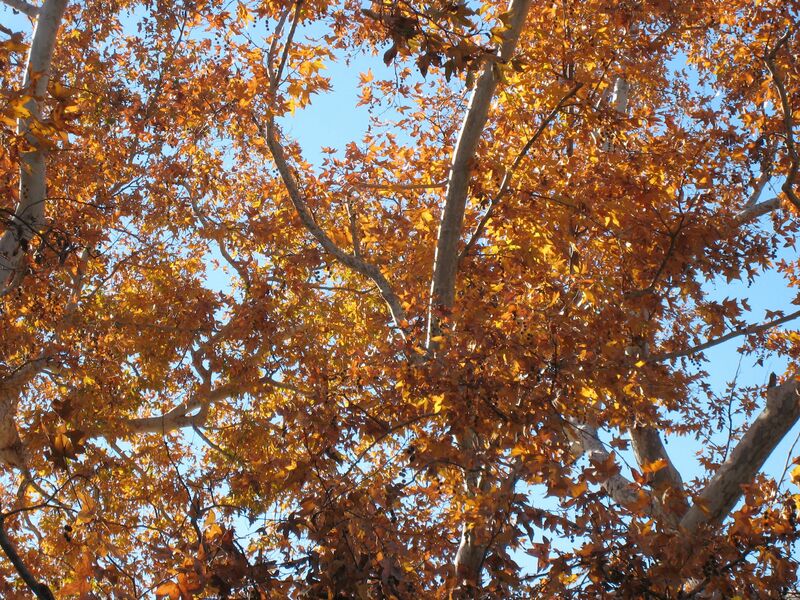 Sometimes in early January we are still treated to “fall” colors, like the Western Sycamore below. Please feel free to comment and share what is blooming and attracting interest in your garden. This entry was posted in Gardening Tips, Seasonal Gardening and tagged Garden with Natives, Seasonal color, southern california. Bookmark the permalink. That is great, Rose, it must be very happy under your oak tree. I like having plants that feed the hummingbirds rather than feeders, ’cause I hate to maintain them!